The health impacts resulting from climate change already feature prominently – and staggeringly – among today’s economic costs, and are estimated at up to EUR 31 billion per year for European economies. These health costs are projected to rise to EUR 103 billion annually around 2050, and EUR 147 billion towards the end of the century. But these figures may just be the tip of the iceberg (pdf). However, major savings from enhanced climate action are not only possible because future health costs would be avoided; there are also short-term health and financial benefits from cutting greenhouse gas emissions. The immediate gain for health comes from the simultaneous reduction of air pollution, which derives largely from the same processes. Air pollution, the ‘silent killer’, is an important risk factor for chronic diseases of the lungs and circulatory system. 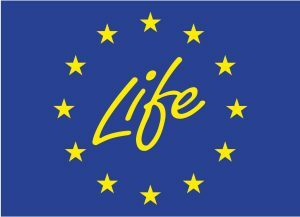 Health co-benefits worth up to EUR 30.5 billion per year would result from cleaner air should the EU move to a 30 percent reduction target for 2020. These savings include reduced health care spending, greater productivity due to fewer sick days, avoided premature deaths and improved quality of life. The economic co-benefits from climate action have been highlighted by public health advocates for several years now, including at UN climate talks. This year an update of the health sector’s perspective on climate change will be provided at the 2nd Global Climate and Health Summit, to be held alongside COP 19 on Saturday, 16 November. Leading scientists, medical associations, health ministry representatives, public health experts, medical students and patient organisations will meet in Warsaw to share their experience in tackling climate change, and to reflect on the future role of the health sector in the climate debate. Since COP 15 in Copenhagen, following which public interest in the UN process to limit global temperature rises has declined considerably, many environmental groups have shifted their focus from the urgency of the climate change challenge towards the underlying causes, and most notably the spotlight has fallen on the role of fossil fuels. The work of health-based organisations, that have highlighted the health impacts of fossil fuel extraction and burning, is likewise attracting more and more public interest. 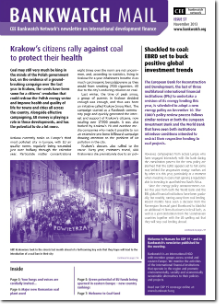 Coal, the most emissions intensive fossil fuel, has been studied closely, and the cost savings from cutting greenhouse gas emissions have been confirmed once more: phasing out coal power in Europe could create health co-benefits worth up to EUR 43 billion per year. These types of reports are playing an important role in changing the public’s perception of the nature of the problem – that acting on climate change and reducing fossil fuel use are not costly measures that can’t be afforded in times of economic crises, but measures that actually do something good for the economy. Health experts and medical professionals will continue to play an important role in conveying this knowledge to the general public and to decision makers. It’s high time to listen to the advice of our doctors.